Today, boys with muscular dystrophy are managed with steroids, that have many negative side effects. There are no other effective therapies. 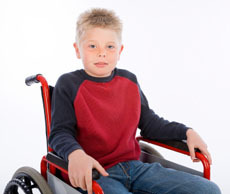 Boys with muscular dystrophy tend to be wheelchair bound by the age of twelve. GsMTx4 is a patented NME (new molecular entity) and the only known specific agent for this class of ion channel. This is not a drug development project; the compounds have already been developed. Because we have the compounds in hand, and have FDA orphan drug status, we hope to move quickly to clinical trials. Initial tests have shown the drugs to be non-toxic and non-allergenic which means there is wide therapeutic window (between toxicity and therapy). GsMTx4, having a unique target, may be combined with other therapeutic agents that are in development. Mechanosensitivity plays a role in many pathologies, so advances in application to dystrophy have a variety of other applications. We believe that it may require 3 to 5 million dollars to do the pre-clinical testing.